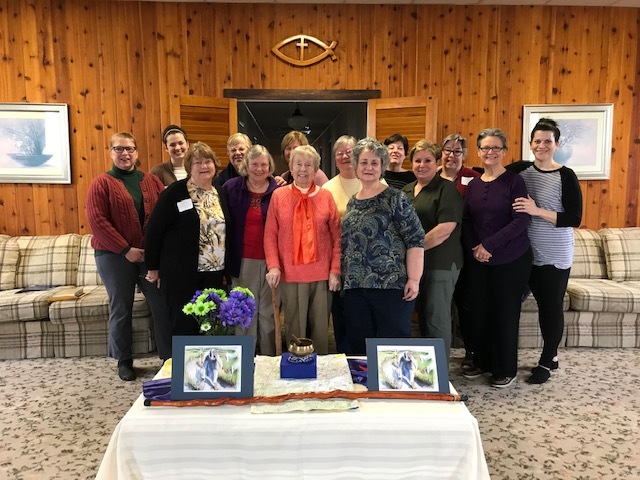 A Camp Maria women’s Lenten retreat was held this past weekend. The retreat was led by Sister Marian Stenken, SCN. Participants reflected on The Case of the Bent Woman in Luke 13: 10-17. It was a powerfully reflective and refreshing weekend. What a great looking group & beautiful place for a retreat. Congratulations, Miriam, you are the best. Congratulations Marian on leading this retreat. I’m proud of you.